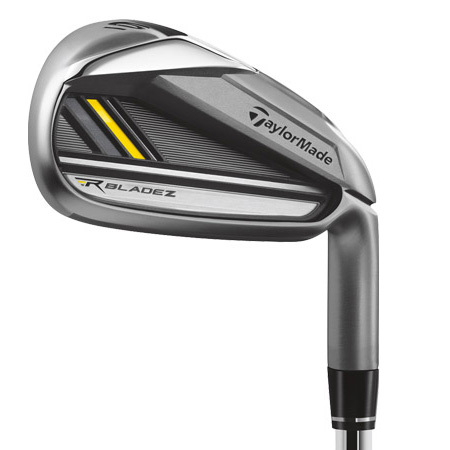 The key new technology in the recently announced TaylorMade RocketBladez Irons is the “Speed Pocket,” inspired by the distance-enhancing benefits of the TaylorMade RocketBallz fairway wood and Rescue clubs. TaylorMade engineers incorporated the Speed Pocket into RocketBladez irons to promote faster ball speed and a higher launch angle to promote longer, high-flying, quick-stopping shots. Altogether, the TaylorMade RocketBladez Iron set consists of eleven individually designed clubheads, each tailored in size, shape and features to maximize distance, control and feel like never before. The Speed Pocket advantage is especially effective on impacts made low on the face, TaylorMade studies indicate that 68% of iron shots by amateur golfers are mis-hits below the center of the face. The Speed Pocket helps to significantly increase ball speed and distance on those low-face mis-hits. The TaylorMade RocketBaldez Irons are scheduled to start shipping 12/1. Click Here to watch a video and learn more.